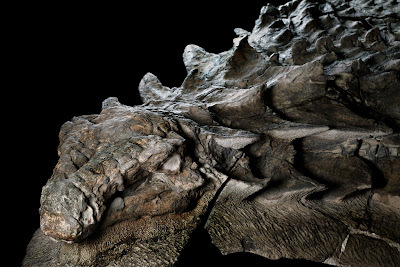 A 110 Million Year Old Dinosaur Still Has Its Skin! KNOWN AS A NODOSAUR, THIS 110 MILLION YEAR OLD, ARMOURED PLANT EATER IS THE BEST PRESERVED FOSSIL OF ITS KIND, EVER FOUND. 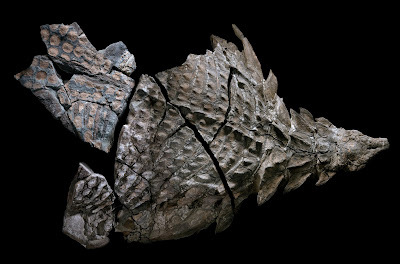 Some 110 million years ago, this armoured plant-eater lumbered through what is now western Canada, until a flooded river swept it into open sea. The dinosaur’s undersea burial preserved its armor in exquisite detail. Its skull still bears tile-like plates and a gray patina of fossilized skins. For paleontologists the dinosaur’s amazing level of fossilization—caused by its rapid undersea burial, is as rare as winning the lottery. 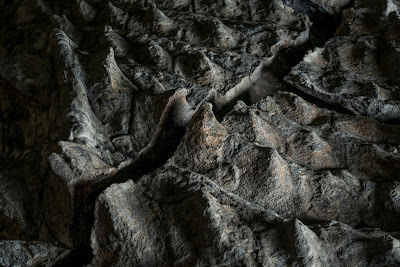 Usually just the bones and teeth are preserved, and only rarely do minerals replace soft tissues before they rot away. 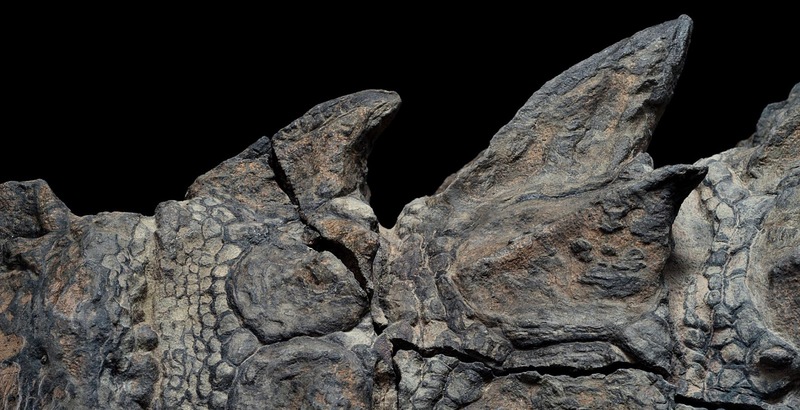 There’s also no guarantee that a fossil will keep its true-to-life shape. Feathered dinosaurs found in China, for example, were squished flat, and North America’s “mummified” duck-billed dinosaurs, among the most complete ever found, look withered and sun dried. 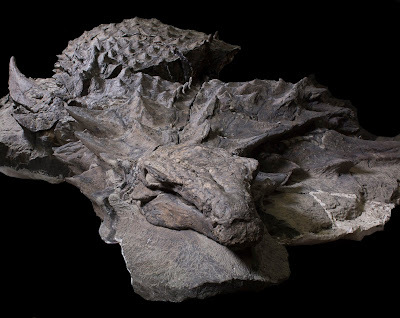 This remarkable fossil is a newfound species (and genus) of nodosaur, a type of ankylosaur often overshadowed by its cereal box–famous cousins in the subgroup Ankylosauridae. Unlike ankylosaurs, nodosaurs had no shin-splitting tail clubs, but they too wielded thorny armor to deter predators. As it lumbered across the landscape between 110 million and 112 million years ago, almost midway through the Cretaceous period, the 18-foot-long, nearly 3,000-pound behemoth was the rhinoceros of its day, a grumpy herbivore that largely kept to itself. 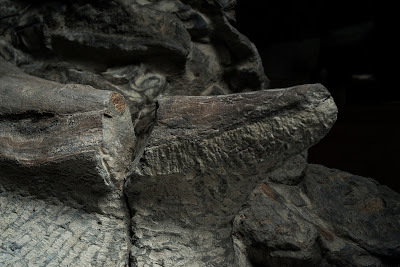 And if something did come calling, perhaps the fearsome Acrocanthosaurus, the nodosaur had just the trick: two 20-inch-long spikes jutting out of its shoulders like a misplaced pair of bull’s horns.